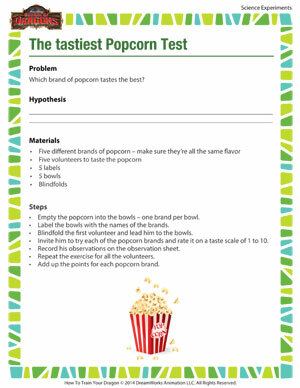 Popcorn is one of the most popular foods in the world but have you ever tried identifying the tastiest brand of popcorn in the world? This yummy science experiment uses the scientific method to find an answer. Also browse through other printable science experiments for kids, right here at the School of Dragons.